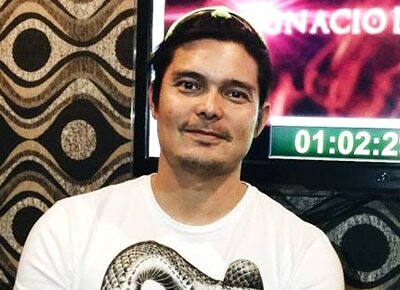 Dingdong Dantes’s voice will be used in the Filipino version of the Filipino-produced film Ignacio de Loyola. Dingdong will be the voice of Iñigo de Loyola while Nonie Buencamino will do the voice of Padre Sanchez. Ignacio de Loyola is about St. Ignatius, the saint of second chances. The film tells of how the soldier Iñigo transforms from a man of violence to a man of God, eventually writing the Spiritual Exercises and establishing the Society of Jesus. Dingdong, who’s an Ateneo de Manila alumnus, got interested to be part of the Tagalized version of the film after he watched a live orchestra screening of the film with live orchestra scoring, organized by Rev. Fr. Tito Caluag at Resorts World Manila. This will be screened at Greenbelt Cinema 1 on April 10 and 1. On April 14, Good Friday, an adapted version of the English film will be shown on ABS-CBN at 10:30 pm.